One Life Financial Group, Inc. Explore ideas to get more out of your time and money. Life is about the experiences we share with loved ones. I appreciate that One Life has helped our family in the same way that we serve our clients. Jennifer’s role as the Client Relationship Manager is to provide a welcoming, client-focused experience. She assists with client service needs and connects clients as needed with the appropriate team member. In addition to serving our clients, Jennifer invests her time on projects that are focused on improving the client and team experience. After working with an insurance firm, Jennifer joined the team at One Life Financial Group early in 2015. 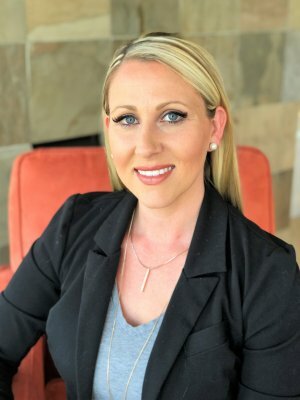 Jennifer fully believes in the value of the One Life planning process, and she plays a key role in fulfilling our mission to help harmonize dreams and means to liberate lives. Jennifer and her husband Paul have 5 children. They enjoy family game nights, traveling, and trying new foods. Jennifer fosters animals through Secondhand Hounds and participates in raising awareness and fundraising for The Cystic Fibrosis Foundation and Feed My Starving Children. All information and ideas should be discussed in detail with your individual adviser prior to implementation. Investment advisory services offered through One Life Financial Group, Inc. The presence of this web site shall in no way be construed or interpreted as a solicitation to sell or offer to sell investment advisory services or insurance products to any residents of any State other than the States in which we are properly registered/licensed or where otherwise legally permitted. 2019 © One Life Financial Group, Inc. All rights reserved.